We’re in the ‘mo! (You see what we did there?) 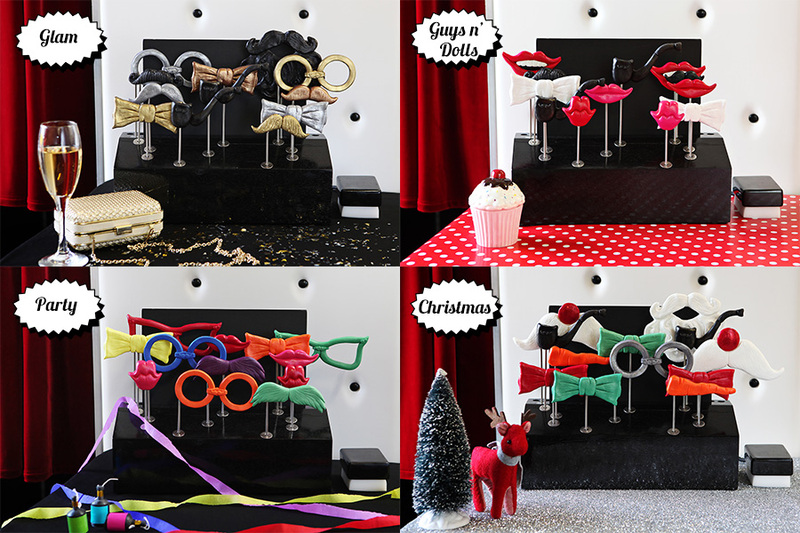 Included in your hire package is one of our gorgeous photo booth prop kits. Our prop kits embody all the kitsch of classic photo booth fun with our gorgeous array of props on sticks and a quality chalkboard; all beautifully displayed in our custom made stand. 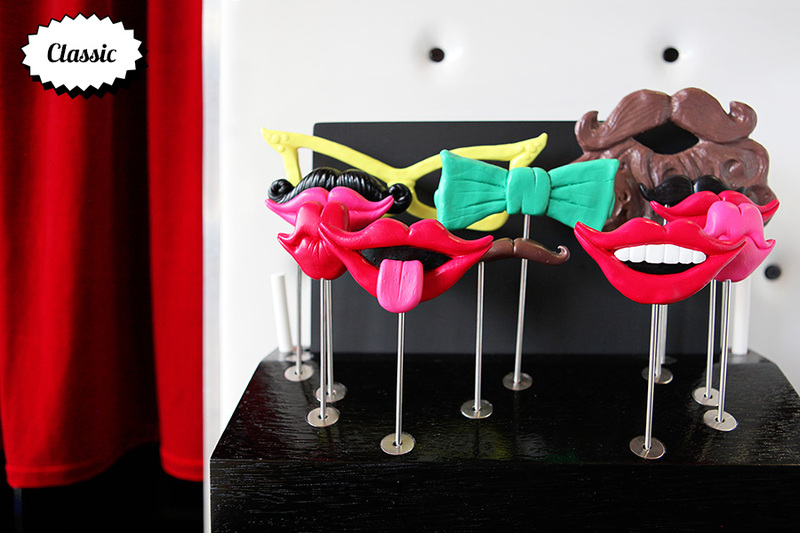 Our prop selection has been especially chosen to enhance your guests’ photo booth experience and encourage creativity. Why use props in a photo booth? 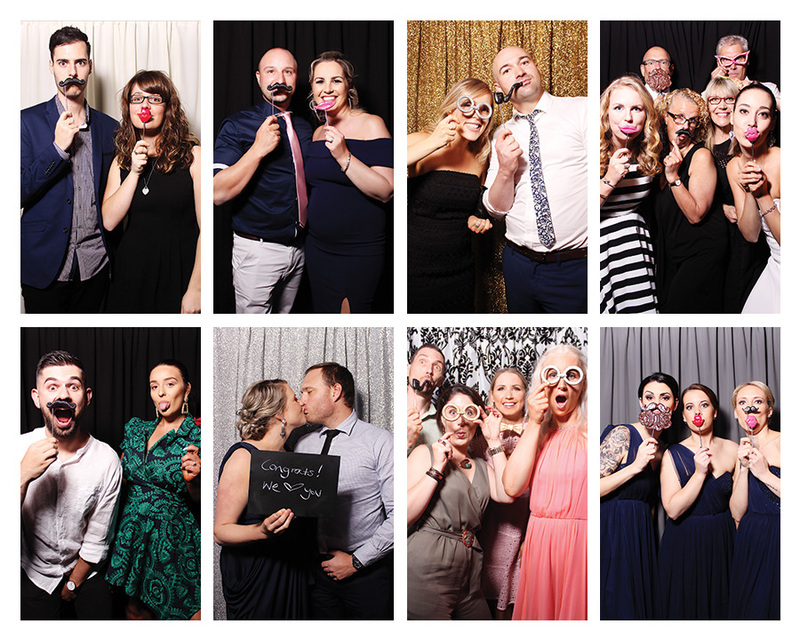 Ever wondered why photo booths and accessories seem to go hand in hand? Walk down memory lane with us for a little bit of photo booth history…. The first photo booths were introduced to the public in the early 1920’s. The phenomenon of an instant photo was an instant hit with the masses (remember, this was before most people even owned a camera, let alone an iPhone!). Booths were placed outside picture theatres, in entertainment arcades, milk bars and bowling alleys and the Gatsby era was in full swing! If you research vintage photo booth images you’ll find stunning pictures of ladies in fur coats and retro glasses and gentlemen in bow ties with immaculately groomed moustaches. Our sense of style may have changed, but the fun of dressing up for the photo booth certainly hasn’t! We’re dedicated to preserving the beauty of timeless imagery. We want your photo booth pictures to be timeless treasures in fifty years which is why we’ve created prop kits that relive a bygone era. We’ve left the cheap plastic and feathers behind so your photos won’t be. We take hygiene seriously so all supplied props are sanitised between each event. It’s for this reason that we don’t provide hats or wigs (you don’t want to see what we’ve seen!) but you are more than welcome to supply your own if you wish, along with any other items you may have chosen to match your theme. Don’t forget to check out our Props Inspiration page for some great ideas! Remember, when it comes to props, less is more and props or no props, your guests are going to have an awesome time!